Ok I will admit it – I have always had Ford Blue running through my veins. From back in the early SCCA Trans-Am Racing days – watching George Follmer and Parnelli Jones attack the field in their Mustang Boss 302 Race Cars – I was hooked. 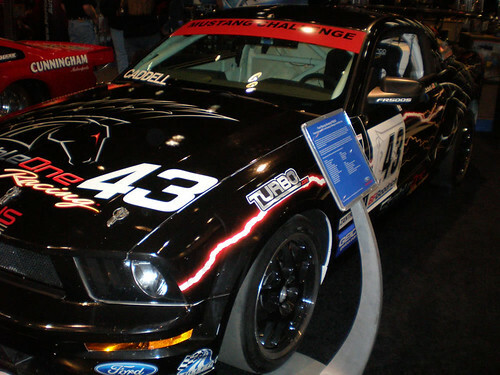 The Mustang FR500CJ Cobra Jet and the Ford Mustang FR500S – Mustang Challenge Car are very unique Racing Vehicles – and they’ve got my “blue blood” boiling red hot. 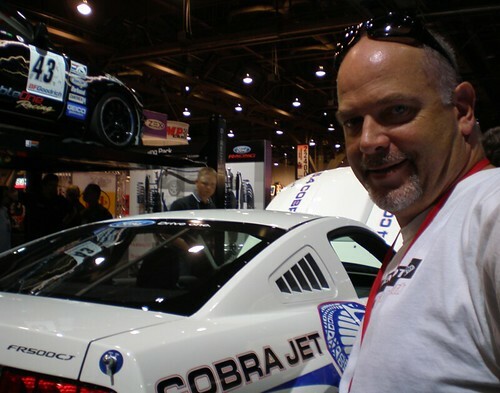 The SEMA Show was so overcrowded with onlookers over the new FR500CJ – that it was difficult to even get up close. 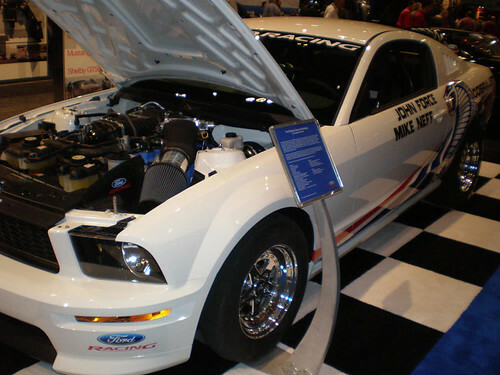 But thanks to Jamie Allison and Andy Slankard from Ford – these two gentlemen were able to take some time at the recent Performance Industry Racing Trade Show – to chat with RaceDrive Radio. We hope that you will enjoy the show – as Jamie and Andy tell us all about these Racing Thoroughbreds.